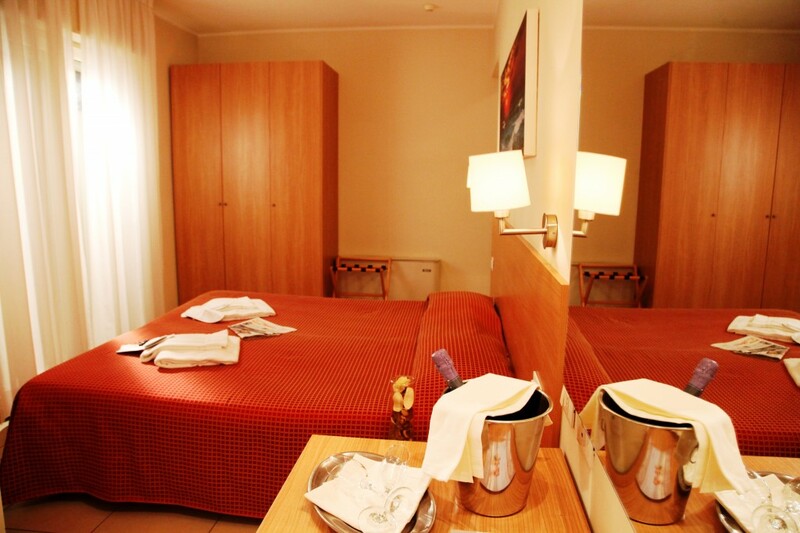 Hotel Majorca Riccione - 3 Stars Hotel Sea Front | Hotel and Hotel 3 star hotel in Riccione for families and business travelers from € 39. 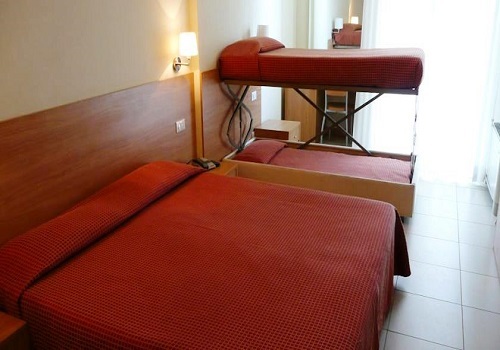 Hotel in Riccione seafront and close to Viale Ceccarini Riccione, near to the center and at the Swimming Stadium in Riccione. Hotel Majorca is a 3-star hotel by the seafront in Riccione, perfect for families and business travellers and open all year round. 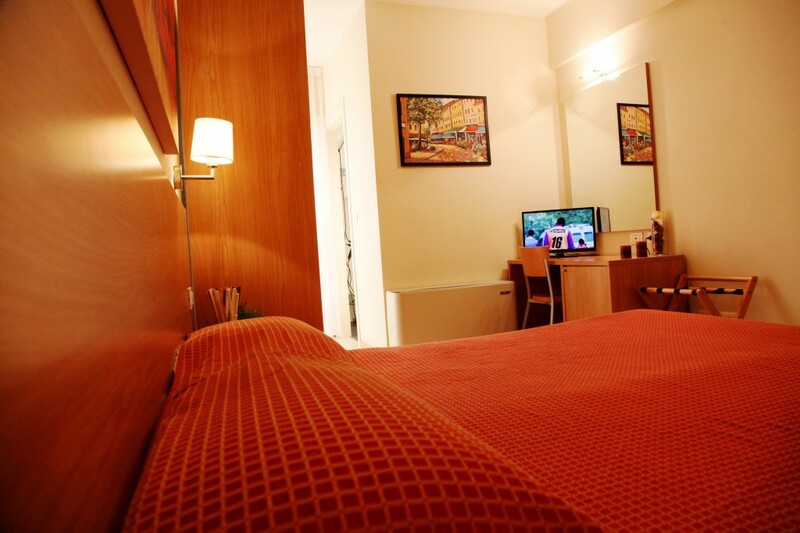 The Hotel is ideal for a beach holiday with children, a romantic getaway for two, or a comfortable business trip. 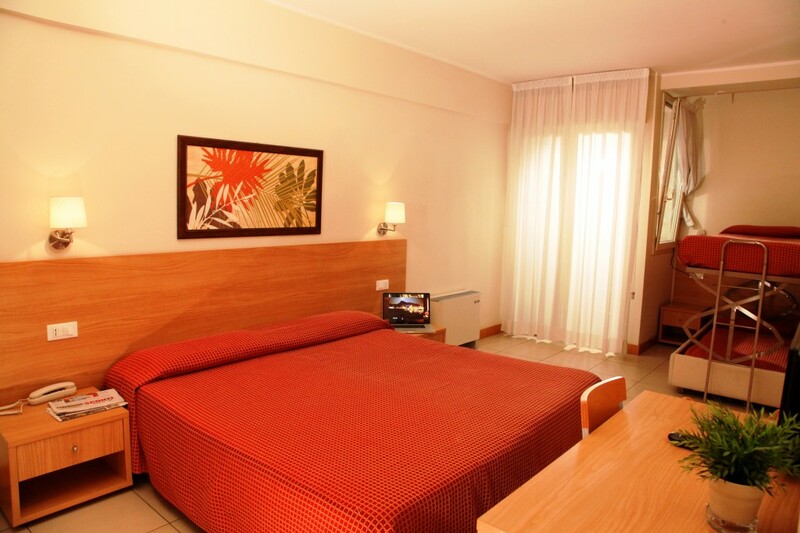 Located in Riccione, close to Viale Ceccarini and Viale Dante and local entertainment on the Riviera Romagnola, the Hotel Majorca in Riccione is a perfect destination that satisfies all your relaxation and comfort needs! To meet the needs of all our guests, our 3-star hotel in Riccione offers sea views and provides many extra touches: our goal is to let you enjoy the best experience during your stay in the Riviera Romagnola. 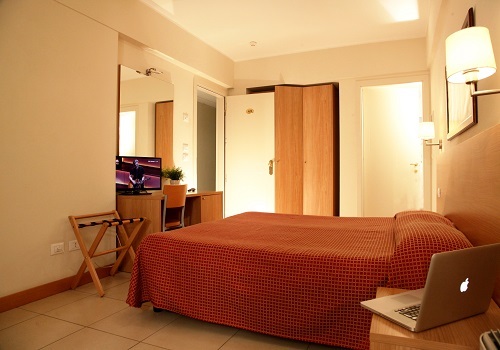 Depending on the room type you select, you will find rooms with a sea view, bathrobe and slippers, fresh fruit, sparkling wine, Sky TV channels, your favourite newspaper and much more. The taste of traditional cuisine, by the sea! The Hotel Majorca in Riccione promotes traditional cuisine from Romagna in every dish from our ‘zero-kilometre’ restaurant. The morning starts with a hearty continental breakfast brimming with fresh produce, homemade jams, seasonal fruit and vegetables and rustic cured meats. You can enjoy the delights of our cuisine at lunch and dinner everyday with our selection of meat and Adriatic fresh fish menus. If you are looking for a 3-star hotel with full board and all-inclusive options for your holiday by the sea, stay at the Hotel Majorca with your family and friends. The 3-star Superior Hotel Majorca in Riccione, open all year round, is the hotel preferred by businesses that are looking for a 3-star hotel in Riccione with a conference room for meetings and corporate events. Recently refurbished, the Hotel Majorca’s conference rooms are perfect for meetings, conferences and business or training seminars. Our conference rooms are bright and comfortable, can accommodate up to 80 people and are equipped with bathrooms and high-tech equipment including: an audio-video system, flip chart, video-projector, Wi-Fi with high-speed Internet, radio microphones (handheld and clip-on), photocopier and stage platform. Staff professionalism enriches the Hotel Majorca, making it one of the best 3-star hotels in Riccione to trust when organising a successful business event. Our courtesy and passion for hospitality are at your service! Contact us for a custom quote or check our Online Booking system for availability and updated prices. Comfort in a unique and efficient setting, perfect for a relaxing seaside break. Romagna traditions meet comfort, style and elegance! 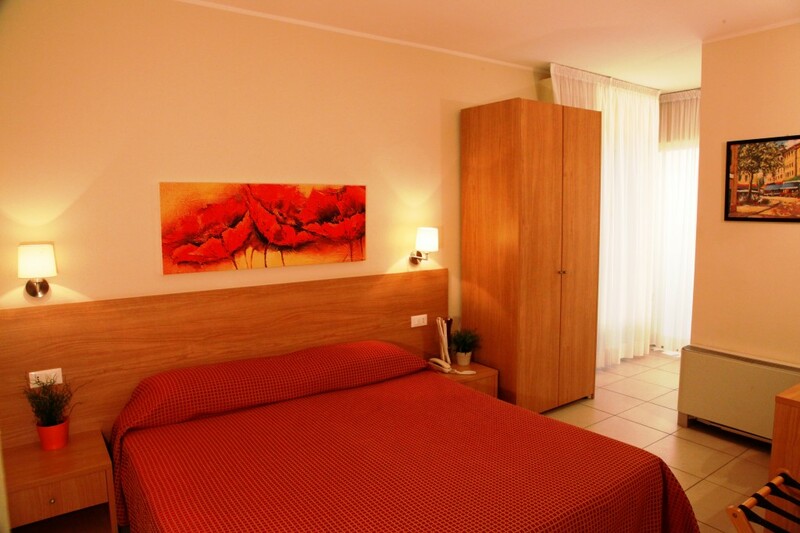 Spacious with modern furniture for a relaxing stay in Riccione. Bright and comfortable, ideal for a holiday with a group of friends or work colleagues. Bright and comfortable, ideal for a holiday with family or a group of friends or work colleagues. Fruit and sparkling drinks on arrival for a bubbly welcome. Exclusivity and attention to detail for a dream holiday in Riccione! 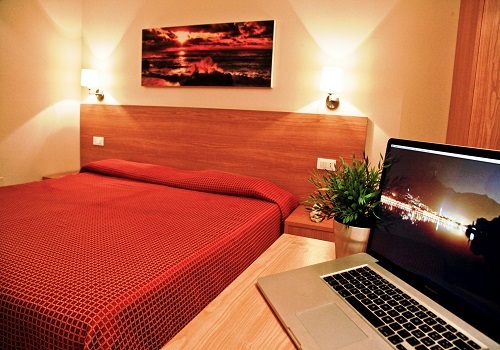 Our family rooms sleep up to 5 people with an adjoining private bedroom! Romantic sea view and exclusive services included for those irreplaceable moments!